The miracle towel! Our softest, most absorbent towel is? ?also incredibly lightweight and quick drying. Also available with a grommet (TW53). 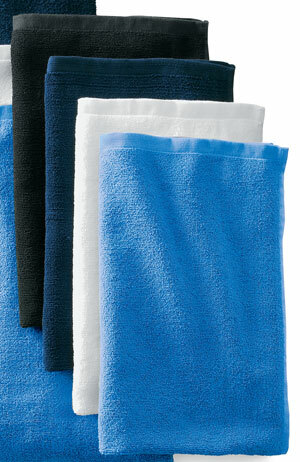 | 55/45 poly/cotton microfiber terry Dimensions: 16' x 26'; 2.96 lbs/doz.